This film is based on the true story of when an American cargo ship was hijacked by Somali pirates in 2009. This was the first time that this had happened to an American cargo ship in 200 years. Does anybody remember how America responded to this hijacking? 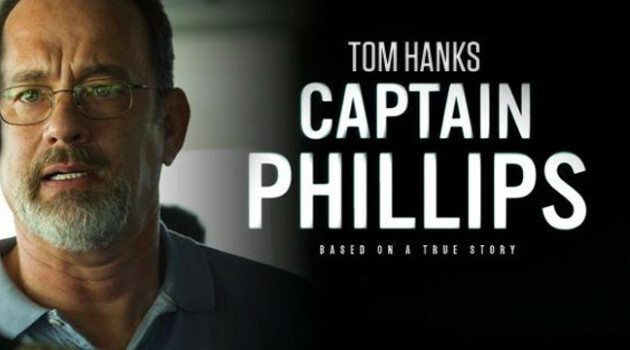 Do you remember Captain Phillips? It’s hard to believe that happened about 4 years ago. If this movie follows the truth closely, I think that it might have the potential to be a quality film and an Oscar contender. The film is directed by Paul Greengrass. Billy Ray wrote the screenplay, but Richard Phillips wrote the book “A Captain’s Duty: Somali Pirates, Navy SEALS, and Dangerous Days at Sea” that it is all based off of. The cast includes Tom Hanks, Catherine Keener, Max Martini, John Magaro, Chris Mulkey, Corey Johnson, David Warshofsky, Yul Vasquez, and Michael Chernus. Hanks has not had a great part for a while. Could this be the movie that puts him back into the spotlight? I will have to be there when it releases to find out. The film is set to release on 10/11/13.